Super Squats has made a roaring comeback over the last few years. Workout gimmicks do come and go. 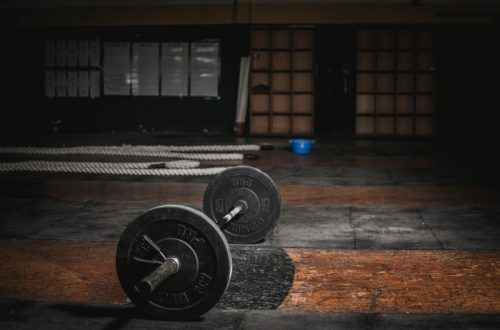 When the big fitness magazines don’t have a lot to write about, they tend to dig up either an obscure study or a long-forgotten workout method. Most of them are long-forgotten for a reason; they were built on false assumptions about human physiology, or they just weren’t up to today’s standards. But Super Squats is different. In reality, this terrific workout has never been forgotten. It fell out of popularity among bodybuilders and weightlifters for a couple of decades, but people never stopped doing it. 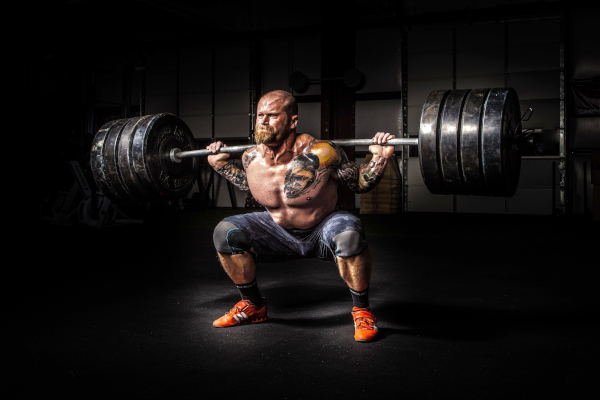 They were applying the principles of Super Squats long before the program was written down and given a name, and there are lots of people doing the program today without realizing it. The reason it has become so popular again in recent years is because other gimmicks, fads and passing trends have finally fallen by the wayside! In their place, people are turning to the tried and true bulking methods of the past. And of all the methods people used to put on serious mass in the past, Super Squats is up there with the best of them. We’re going to explain what this brilliant workout protocol looks like, where it came from, and why it works. We’ll also give you the diet that has traditionally come with the Super Squats program, as well as a few changes we’d make to make it more in line with health and modern nutrition science. We will also highlight some of the drawbacks of the Super Squats program. Where Did Super Squats Come From? 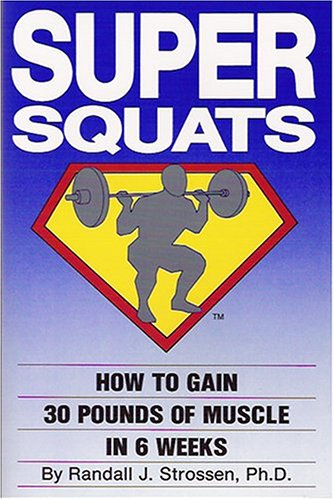 The “Super Squats” originated from a book called Super Squats: How to Gain 30 Pounds of Muscle in 6 Weeks, published by a guy called Randall J. Strossen in 1989. Strossen is a sports photographer who covered lots of strength sports during his career. He wrote several books on strength and conditioning, and he had a column in Ironman Magazine for over a decade. The title of the book sounds like cheesy marketing, but it isn’t. There are lots of people out there who claim to have put on 20-30lbs of muscle in 6 weeks following this protocol. Of course, Strossen didn’t discover or invent the principles behind the Super Squats program. Athletes have employed the ideas that make this program great for a long time. But the exact workout and diet as specified here is the brainchild of Strossen. And it is absolutely one of the most effective ways of putting on mass in a short period of time. That may not seem like much, but the workout is a little more detailed than it appears. First of all, the focus of the workout is the squat and pullover superset. These squats are not done like normal squats; you aren’t trying to grind through the last 2 or 3 reps, maybe coming close to failure on the last rep.
No. Instead, you’re going to pick a weight that you can just about hit for 12-15 reps, and you’re going to get 20 reps in total. The final reps should be done “breathing squat” style. This is where you do a rep, then take some long, deep breaths until you’re ready to go again. BUT YOU DO NOT RE-RACK THE BAR. The bar stays on your back while you rest, take a few deep breaths, and then you go again until you hit 20. If you hit 20, then the next week you up the weight by 2.5kg. 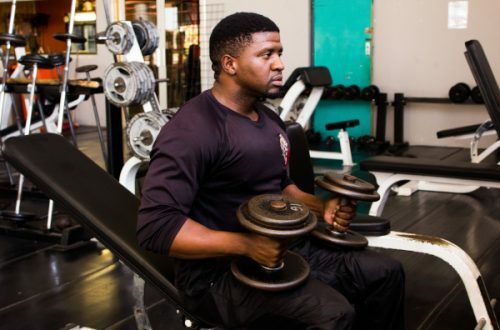 If you fail to hit the weight for 20 reps two weeks running, then you drop the weight by 5kg and go again. As soon as you’ve done the squats, you pick a dumbbell that you know you can do for 20 reps and do some nice, slow, clean pullovers. The dumbbell should be heavy of course, but form is everything with pullovers. The rest of the workout is important. Benching, deadlifts, overhead press; these all add serious upper body mass. But the squats and pullovers should receive 100% of your focus and effort. It’s this exercise that will really add the pounds to your frame and the meat to your legs. The workout is usually performed 2-3 days per week. Most people do 3 days per week; it is inadvisable to try to do more, or to add in extra days of different exercises. This will hinder recovery and just hold you back on the squat rack. The primary aim is to get your 20 rep squat and pullover numbers up, and to push it as hard as you can on the bench, rows, etc. afterwards. Part of what made this training program so famous was the diet. That is actually why it is so popular today too; the diet protocol is really unique and very memorable. The Super Squats diet is – as you might have guessed – an incredibly calorific diet. This is, after all, an intense bulking program. The same diet is sometimes referred to as the GOMAD diet. That’s because the first thing it calls for is a gallon of milk a day. That’s right; while following the Super Squats program, the guys in the past tried to drink a gallon of milk a day. Whole milk too; none of this skimmed crap. 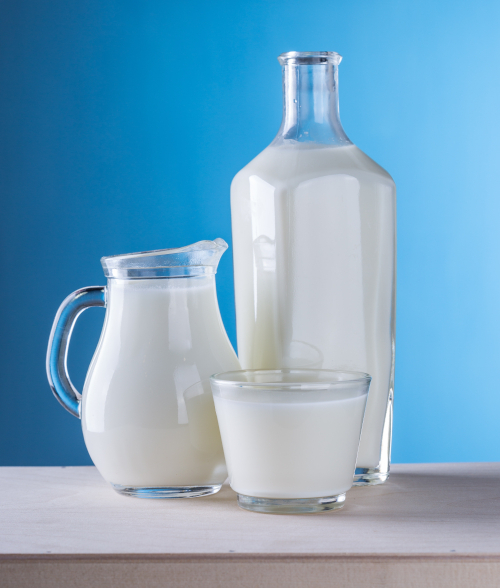 A gallon of full-fat milk is about 2400kcal. It provides 128g of protein, 38g of fat, and 192g of carbs. On top of that you get an obscene amount of calcium, lots of B6, magnesium, and B12. You do also get an enormous amount of cholesterol and saturated fat, but for the guys trying to get huge in the past, this obviously wasn’t a real concern. The rest of the diet calls for lots of whole foods: oatmeal, eggs, chicken, pasta, green vegetables, fruit, and cheese. There was no set portion sizes or calorie counts – you just ate until you felt like you’d eaten enough, and got your milk in every single day. Following this program properly, you’re probably going to feel hungry all the time. Two days isn’t long enough to properly recover from 20 reps of extremely heavy squats followed by an entire full body workout. So your body needs all the food and sleep it can get. Our advice is GIVE IT WHAT IT NEEDS TO RECOVER! Let the program do its thing. Just don’t stand in its way! The reasons that this program works so well are very simple. 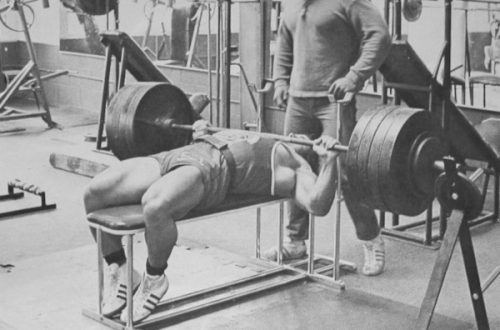 First off, we don’t think anything takes such a metabolic toll on your body as doing 5-8 heavy, forced reps of squats. That’s without the 40 reps of heavy pullovers, heavy bench presses, and stiff-legged deadlifts. Your body will be totally spent and crying out for food. The adaptive response will be immense if you give it enough food and rest. Then we have the fact that the program hits your whole body with maximum intensity every 2-3 days. For natural lifters, this is without doubt the best way to achieve maximal growth over the long-term. But the biggest reason that this program works, in our opinion at least, is the fact that it is so simple. Many of the bulking programs you see today are extremely complicated. The exercises are really precise, some are obscure, and the workouts are really long. In our experience, people just don’t follow these programs for very long. They get bored. They don’t have the right equipment. The volume is too much. They realistically can’t be in the gym 6 days a week. Whatever the reason, the bulking programs laid out by the likes of Jay Cutler or Arnold don’t work for most guys purely because they ever actually follow them. Or they don’t know what kind of intensity they should be giving each exercise. Super Squats removes all that uncertainty. Every workout is the same. Your goal is to push the weight. You go balls to the wall on every movement, but squats and pullovers come first (the behind the neck presses are a heavy warmup).